The Voice over Internet Protocol (VoIP) project reached a significant milestone last week when 827 campus phone numbers were transferred from AT&T to the new system. Faculty and staff can now enjoy new features such as the ability to place and receive calls from multiple devices, voicemail to email and more. The new phone service also brings changes to how campus members place phone calls. To ensure seamless calling between the new VoIP phone system and the existing AT&T analog system, users should place campus calls by dialing the full 7-digit number (575-xxxx). Faculty and staff using the old phone system will still need to dial 9 before entering the 7-digit phone number to call on campus. Once on VoIP, users will no longer need to dial 9 to place internal or external calls. While the change to VoIP does remove the ability to place 5-digit calls on campus, once a number is transferred to VoIP, placing a call is easier than ever. "Essentially, placing calls with VoIP works like our email. Instead of typing an email address, you enter the contact's name or create a favorites list. 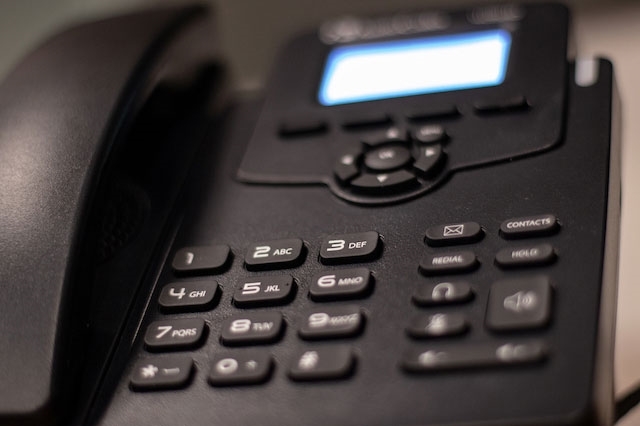 With VoIP, you can look up contacts and place calls with the push of a button," said Chris Butler, director of communications for Information Technology Services. Training and how-to videos, including one on using the contact directory, are available at voip.uark.edu. "It doesn't matter who you are calling on campus, you should now use 7-digit dialing to ensure your call goes through," said Teresa Waddell, director of technology for Fulbright College of Arts and Sciences. To date, more than 3,100 VoIP phones have been delivered throughout campus. On March 18, the second group of over 1,000 numbers will be transferred from AT&T to VoIP. Individuals scheduled to have their number transferred will receive a series of emails from IT Services with additional information. All VoIP users are encouraged to attend VoIP phone training sessions available on Tuesdays and Wednesdays throughout the spring semester. Participants can choose to attend a one-hour Question and Answer session on Tuesdays at 2 p.m. in the Arkansas Union or the in-depth 90-minute training offered Tuesday at 3 p.m. in ADSB or Wednesday at 10 a.m. or 2:30 p.m. in JBHT. Sign up and learn more about training at voip.uark.edu. For questions about the VoIP project, please contact  voip@uark.edu.